If I was an artist I would definetly be starving. With that said, lately I have been trying my hand at painting. I would love to have more original works of art in our house but since we don't have the money to fund that I thought it would be fun to try to paint a few things myself. 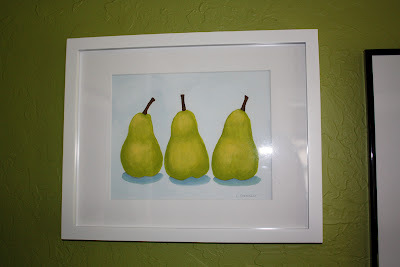 Then I painted the background and filled in the pears and hoped the finished product would be something I wouldn't be embarrassed to hang on our wall! 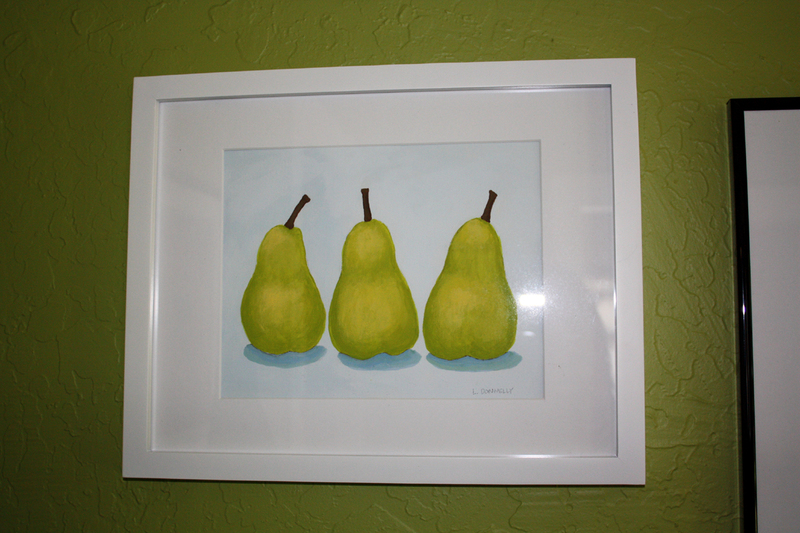 I'm not the next Rembrandt or anything near but for our own art collection it will do. Painting is really challenging! Even something that looks like it would be simple is not .......... at least for me! 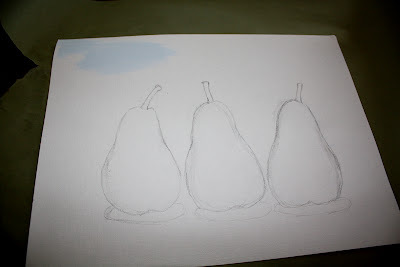 But I'm happy with my pears, I even added some dimension with shading. My shadows and highlights might not be correct but, hey, I was trying! Painting is a lot of fun, even if the end result isn't what you had hoped for. Sometimes it's enjoyable just to play around with the paint and every once in a while you might get something you aren't too embarrassed to hang on the wall! That looks awesome :). I'm NOT an artist, my kids say my stick figures look 'weird!'. Haha!! It looks great Linda! 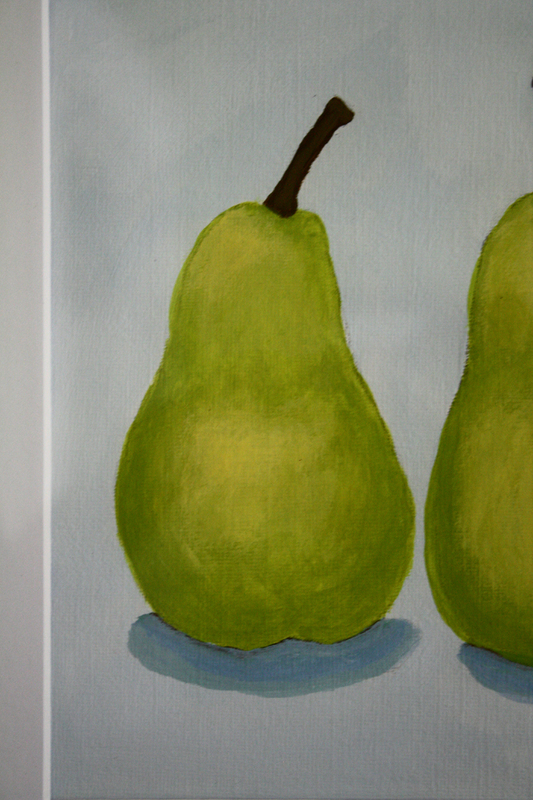 Pears are always beautiful.